- Very Easy to operate at site. We are devoted towards offering a wide variety of excellent quality Interlocking Blocks Making Machine. The offered machine is manufactured under the vigilance of our skilled professionals using the best grade component as well as the latest technology. 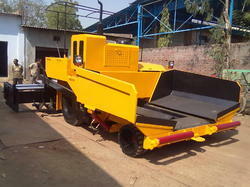 We are offering Road Paver Finisher to our client. Minimun Paving width 2500 MM Maximum Paving width with Hydraulically Extended Screed 4500 MM Maximum Paving Thickness 200 MM Paving Speed 1.25 to 23 MTRS/MN Maximum Traveling Speed 14KMPH Hopper Volume 4CU. METRES Screed Vibration By Hydrulic Motor Tyre Front (Solid Rubber) - 2nos. 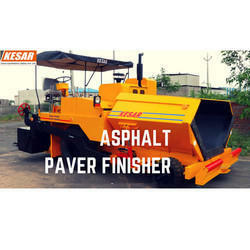 (Sandwith type) 22" X 7"
We have gained huge admiration in the market by providing a qualitative range of Sensor Paver Finisher which is delivered within the scheduled period of time.